In a culture of smaller and smaller screens and bigger and bigger threats to democracy, to activism and to the planet, how do longstanding institutions like Greenpeace change their course? The Mobilisation Lab was born inside Greenpeace, the first and most prominent in a wave of ambitious efforts by the environmental champion to refit itself for 21st century campaigning. From 2011 to 2016, MobLab worked with Greenpeace’s 27 national offices and international leaders, instilling new approaches to campaign planning, digital strategy and the role of “people-power” in advocacy. And while studies say more than two thirds of organisational change programs fail, MobLab beat the odds and transformed systems and behaviours across dozens of Greenpeace teams. As MobLab embarks on its next phase, collaborating not just with Greenpeace but with an expanding network of advocates and activists, we asked two veteran non-profit strategists to dig into the MobLab story, to look for highlights and lessons from our first five years. 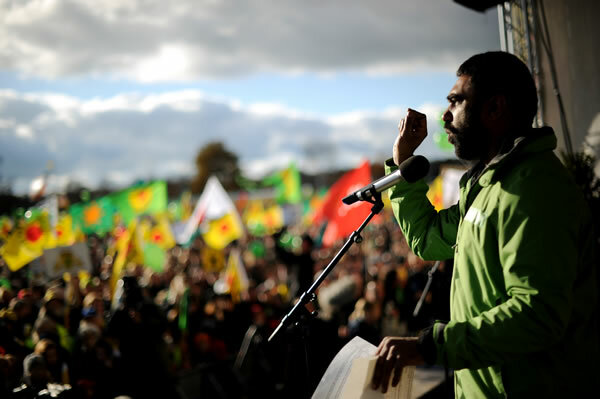 Late at night on 18 December 2009, in a freezing cold warehouse in Copenhagen, Kumi Naidoo, Executive Director of Greenpeace, stood in front of three hundred exhausted fellow activists struggling to make sense of a bitter defeat. Hours earlier, on the final day of the Copenhagen Climate Conference, 115 countries had announced no binding treaty, but what the Guardian dismissed as “a weak outline” of an agreement to fight global climate change. Despite the efforts of thousands of activists around the world, the promise of a robust international agreement had been eclipsed by corporate interests and a lack of political will. Naidoo and his fellow organisers faced the embittered volunteers from around the globe. “Many of them were holding up the same signs they’d held in front of the world leaders earlier that day,” he recalls, “signs that said, ‘Politicians talk. Leaders act.’” The signs had a different meaning that night; politicians were not the only ones being held accountable. Naidoo, in only his second week at the helm of Greenpeace, knew that the organization was at a pivotal moment. Yesterday’s Greenpeace was not equipped to fight tomorrow’s battles. Dave Birmingham raises Greenpeace sail on Phyllis Cormack (also called “Greenpeace”). 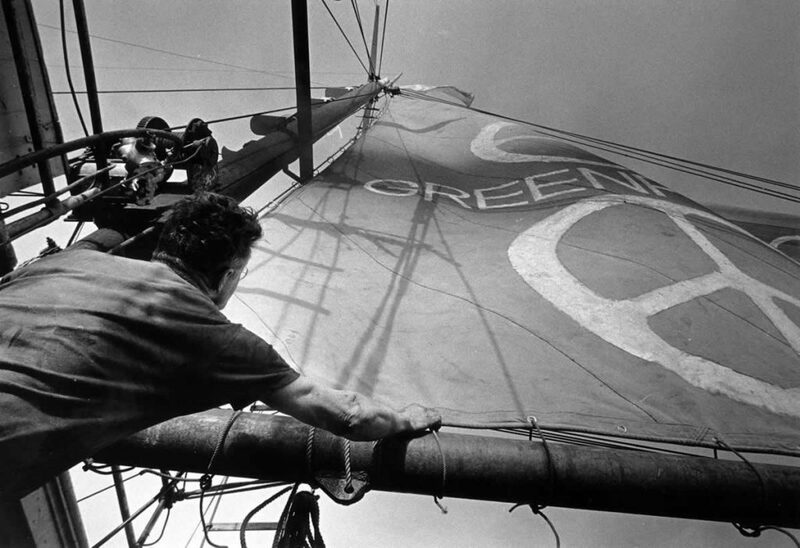 It was the first Greenpeace campaign, sailing towards Amchitka island to prevent nuclear testing. September 1971. Since the first Greenpeace ship sailed into Alaskan waters in 1971 to protest a U.S. nuclear test, Greenpeace has been an international powerhouse of peaceful resistance, combining dramatic local actions with high media visibility. And though that first voyage didn’t halt the nuclear test, the high seas story caught fire in the press and inspired massive public attention and grassroots support. Less than six months later, the test program was abandoned. Greenpeace’s successful campaign tactics have been adopted by nonprofits and activists around the globe—for environmental causes and many others. Today, from the human chain formed by 5,000 protesters last October to save the trees of Bangalore, to the “RESIST” banner hung on a crane above the White House in January, the public conscience resonates with the impact of Greenpeace’s leadership in non-violent direct action. However, times have changed. Since the 1990s, the widespread adoption of email, mobile phones and social media has unleashed a new kind of campaigning—one that enables a passive audience of individuals to become participants in collective action at historic speed and on their own terms. Movements from MoveOn.org and the Obama campaign to the Arab Spring and Black Lives Matter have permanently redefined advocacy, forcing traditional organisations to adapt not just to new tools, but to the democratisation of activism and a new ethos of shared leadership. For many organisations, these accelerating changes could have been a death knell. For Greenpeace, they became an opportunity for soul-searching, experimentation and, eventually, a new direction. Kumi Naidoo called the loss in Copenhagen a “burning platform” moment—a time to embrace a new model for impact, or risk irrelevancy. “Business as usual will not generate the pressure we need to avert catastrophe in our atmosphere, our oceans, our forests, our waterways or on our land,” International Programme Director Pascal Husting wrote in a subsequent report. Naidoo’s 2010 call to action was the cornerstone of Greenpeace’s new direction: A high-level commitment to put “massively inspiring people” at the center of the mission. Leaders issued a set of principles that emphasised moving people up a “ladder of engagement,” seeing people as campaign partners rather than simply as constituents, and using mass communications and digital platforms as essential tools for campaigning and fundraising. Kumi Naidoo gives a speech in Germany. To help implement these principles, in 2011 Greenpeace established a “Digital Mobilisation Centre of Excellence.” Designed as a source of best practices, testing, and strategy development for a network of over 25 regional offices and 3,000 staff, the centre had a dual focus on increasing digital capacity and promoting community-based, “people-powered” campaigning. The centre, renamed the Mobilisation Lab (or “MobLab”) after its 2012 launch, has grown into a definitive resource for innovation, training and capacity development. It has played a critical role in Greenpeace’s shift to a new way of operating at all levels—programmatically, administratively and strategically. Design and testing of new campaign models that have been integrated into nearly all Greenpeace offices to drive advocacy in at least 55 countries. Central to these new approaches is Greenpeace’s work to become a “learning organisation”—one that seeks meaningful participation from the people it serves; maintains a posture of listening, not telling; emphasises an openness to innovation and diversity; and values the needs and local wisdom of Greenpeace allies as much as—if not more than—prominent experts or senior-level staff. All planning efforts, for example, must now include concrete outlines for how campaigns will engage regular people as partners in advocacy, and not only as followers or audience members. Deepening appreciation and understanding for the role of technology in 21st century advocacy through training and direct support to more than 1,100 staff. MobLab provided colleagues across the Greenpeace network with information and training in new digital platforms such as video, social media, and email, enhancing their ability to recruit and mobilise supporters using people-powered approaches, as well as to analyse and evaluate the impact of these campaigns. Galvanising a community of peer learning across Greenpeace—and the wider advocacy community—through a program of dynamic annual gatherings. 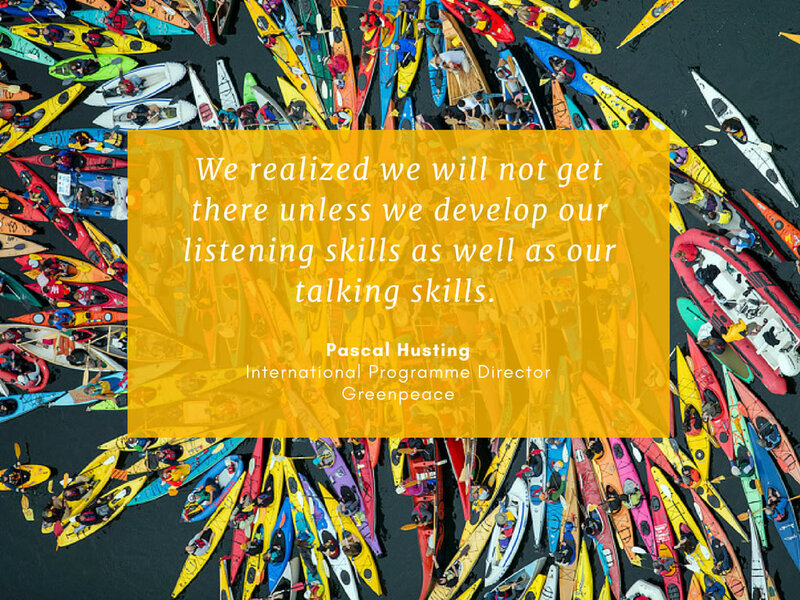 Through skills-sharing events that involved hundreds of Greenpeace campaigners, leaders and staff, as well as practitioners from peer organisations, MobLab has helped build an international learning community whose members have opportunities to learn from and forge relationships with one another. Making a successful case for adding—and elevating—positions with expertise in digital advocacy and supporter engagement to senior-level positions across the entire Greenpeace network. In 2011, there were few if any such senior-level staff members. Now a majority of Greenpeace offices have created mobilisation and engagement positions at the senior level, with titles new to Greenpeace, like Chief Engagement Officer and Director of Participation. Spurring the creation of Greenpeace’s first–ever Global Engagement Department, a fully-staffed team charged with supporting recruitment, mobilisation, and engagement capacity across the entire organisation and providing assistance to staff at all levels to ensure the continued integration of communications, fundraising, volunteering, and technology as a unified approach. In the years since that burning platform moment, Greenpeace has repositioned itself as an organisation that seeks to put people-powered campaigning at the centre of its work. MobLab has played the central role in Greenpeace’s transition and provides an instructive model for any legacy organisation seeking to fully embrace 21st century advocacy. To dig deeper into MobLab’s evolution and impact, Greenpeace asked two longtime experts in NGO adaptation and innovation—Jed Miller and Cynthia Gibson—to conduct interviews and analysis with more than 20 international and regional directors, program managers, and campaign leads, as well as with MobLab staff and several external activists and leaders. Combined, this group’s experience spans more than a dozen Greenpeace offices and at least three decades of history. The authors’ review also included planning documents, reports and other materials that document how MobLab started, the progress and adoption of its approaches within Greenpeace, and the increasing number of advocacy organisations seeking to adapt the model for their own efforts. MobLab showed Greenpeace that the people are not just audiences to our work, they are as relevant as any other stakeholder in the process, as relevant as politicians. Mobilisation isn’t something you add at the end of your planning as “an activity.” It’s at the heart of the process. MobLab is one of several strategic and structural initiatives launched by Greenpeace during the past decade in response to the tectonic shifts in advocacy and the climate movement. Chief among them was the unprecedented technological innovation that was upending longstanding systems of commerce, politics, and organisations—a bottom-up approach to activism that was a radical change from expert-driven culture of older institutions. “Everybody can be a changemaker” became the mantra. Traditionally, advocacy groups, especially larger organisations, crafted “messages” to “educate” people and then disseminated them, acting as one-way broadcasters. Organisations also took the lead designing and implementing the strategies behind those messages. But by the early 2000’s, the shape of advocacy had changed. People were taking more action on their own using email, blogs, meet-ups, volunteering tools, and online donations and petitions—and they were getting results. It was becoming clear that large intermediaries were no longer required to drive social change. What was needed was a model for combining institutional influence with people-power. Organisations like Greenpeace needed to find new ways to act as partners with grassroots activists—rather than seeing them as foot soldiers carrying out their instructions. These groups needed to evolve from arbiters of what was communicated into distributors of information and innovative actions at the ground level. Greenpeace was also experiencing internal changes. Among these was influx of new staff—at all levels—who were eager to experiment with new campaign models, especially in digital advocacy. At the executive level, leaders had begun to acknowledge Greenpeace’s foot-dragging with innovative campaign models and strategies, especially those that put people at the center. But the organisation’s use of technology to engage a mass audience had been inconsistent, with online editors—or “webbies” as they were known—working in relative isolation in regional offices, and a small digital team at Greenpeace International. Greenpeace also began to rethink its communications and fundraising operations, especially its use of digital media and storytelling, which would strengthen campaigners’ ability to make the issues compelling. Internally, storytelling has helped Greenpeace articulate its new organisational direction and priorities—including decentralisation and the focus on people power. The key principles of Greenpeace’s new model were eventually distilled in a simple, compelling presentation called The 7 Shifts, launched by the communications department in 2015 after months of workshops with colleagues worldwide. Formally launched in 2011, the centre was positioned as a “resource for innovation, training and capacity development” across Greenpeace’s entire network of organisations and with a dual focus on digital advocacy and people-powered campaigning. Michael Silberman, a veteran of the early digital revolution in U.S. politics and a long-time strategist for environmental and progressive causes, was hired to begin developing the program, which became the “MobLab” shortly thereafter. During MobLab’s first full year of operation in 2012, Tracy Frauzel joined as Training Director and senior strategist. Frauzel had previously been digital lead for Greenpeace U.K., one of the most respected digital teams across the network. A third teammate, Ben Simon, came to MobLab in 2013 as a senior campaigner with deep experience in digital advocacy, fundraising and progressive campaigns. MobLab also contracted with a network of experts to ensure it was providing the most timely and high-quality information and technical assistance available. MobLab built a worldwide community of activists at Greenpeace (and beyond) who now share lessons and collaborate more regularly and strategically. From the beginning, MobLab’s staff sought to foster a learning mentality among colleagues across the Greenpeace network, and to widen the community of activists and organisations eager to collaborate. A prime opportunity to cultivate this community was Greenpeace’s highly-regarded “Skillshares”—annual global events that have convened thousands of staff members over the years to network and learn from each other. The MobLab team decided there was no better way to promote a participatory philosophy than by redesigning the usual Greenpeace skillshare—based on traditional panels and presentations—to model people-powered engagement. With help from Aspiration, innovators in designing and facilitating participatory events that yield strategic outcomes and strengthen long-term relationships, MobLab hosted its inaugural Digital Mobilisation Skillshare with a more informal structure focused on information sharing, impromptu conversations and a co-created agenda. The new skillshares also invited leaders from other networks such as Occupy Wall Street and several “upstart” digital native groups that Greenpeace had once viewed as “competitors” but were now seen as potential allies and rich sources of knowledge. The skillshare events drew in amazing organizing power and wider movement context by bringing in thinkers and doers not only from Greenpeace but from outside the organization. It had a seismic effect on the Greenpeace community—even for those who didn’t attend. The new event design was a huge success. 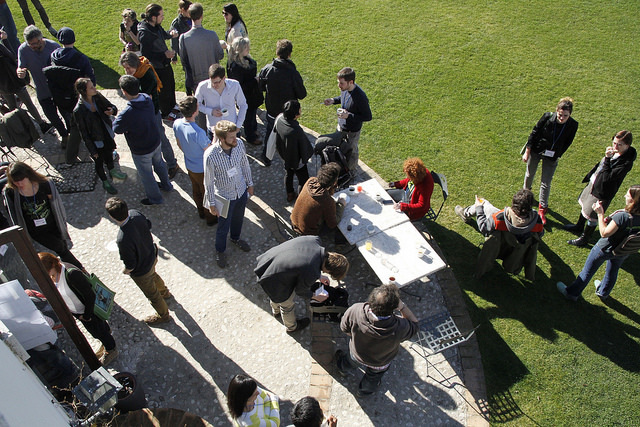 Between 2012 and 2014, more than 400 people attended MobLab’s annual skillshares. Representatives from every national and regional office, covering 55 countries, learned from one another in over 300 collaborative, peer-led sessions. Greenpeace Digital Mobilisation Skillshare 2014. Photo by Shirley Johanssen. Introducing new skills: Through on-site meetings, webinars and global gatherings, MobLab has developed and delivered trainings in everything from email tools and web analytics to campaign planning and storytelling to more than 1,100 colleagues across the Greenpeace network. Collaborative events: MobLab’s memorable skillshares created instant demand for meetings with a less traditional, more participatory format. In the ensuing years, several Greenpeace teams, including senior leadership, have integrated these participant-driven agenda formats into their global meetings and established a new norm for how global meetings are run. Knowledge sharing: MobLab’s “content network”—comprising newsletters, reports, and original online articles—highlights lessons and campaign innovations for more than 3,000 leaders and activists from over 500 organisations worldwide, including longstanding peers of Greenpeace such as Amnesty International and Oxfam, as well as next generation groups like MoveOn and SumOfUs. MobLab rewired the campaign planning process, so that Greenpeace could adapt its tactics more quickly in a rapidly-changing world. To help Greenpeace move at the accelerated pace of a more wired world, MobLab introduced “design thinking” across the organisation as a more nimble approach to campaign planning. In the design thinking process, planners begin by eliciting the needs and ideas of key stakeholders and audiences. They test out their plans (or “prototypes”) with those constituencies to get direct feedback, which is then used to revise and refine each plan before it’s put into action. While design thinking has become a common business practice, it has yet to take hold broadly in advocacy organisations. 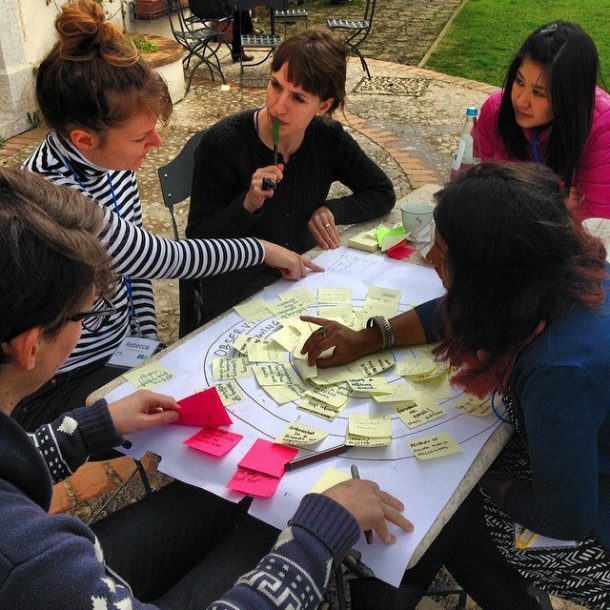 To increase adoption of the approach, MobLab created a pilot program called the Campaign Accelerator — combining updated, collaborative takes on more traditional advocacy strategy planning tools (such as root cause analysis and system mapping) with design thinking techniques. Greenpeace Mexico was one of several offices that embraced the approach. Former Executive Director Femke Bartels says she had been trying to carve out time to explore new approaches and, with MobLab’s help, she and her colleagues changed the way that several local Greenpeace teams planned their campaigns. MobLab has worked in depth with more than half of Greenpeace’s 26 national and regional offices, helping teammates adjust their expectations for projects large and small and, as importantly, to transfer that new thinking to their colleagues and bosses—spurring changes not just in process, but in culture (albeit at different paces in different places). Recognising that Greenpeace would be more effective if it walked the talk of the people-power it was promoting, MobLab spent considerable time with both leadership and staff at all levels to brainstorm and test more participatory approaches—from meeting planning and hiring policies to campaign design and agenda-setting. They do not become hard-core advocates for change but, instead, prompt the right questions at the right time. MobLab was able to help staff and leaders across the organisation move toward internal principles that aligned with Greenpeace’s new external emphasis on people-powered work. As these changes took shape, Greenpeace staff and leaders began to see that their attachment to old habits was strangling the organisation’s ability to have impact. That doesn’t mean everyone was on board, though. Several Greenpeace interviewees acknowledged that a “‘that’s not how we do things’” attitude continues to pop up. Recognising this, MobLab has continued to promote a listening-first approach, where each office or team’s priorities for change—and openness to change—guide the pace of the work and the pace of the culture changes that may follow. The MobLab team delivered new approaches through tools, strategies, and communication channels both public and private. They pursued most of these methods in parallel and not in sequence, fostering an environment of mutually reinforcing changes. Even as they hosted trainings on email outreach and other fundamentals of organising, they also worked as consultants and advisors to dozens of Greenpeace teams, promoting adjustments to team design and team practices, helping individual attitudes and wider organisational culture reflect the participatory ethos of Greenpeace’s new approach. This multi-level approach recognises the interdependence of structures, behaviours and attitudes in any effort to transform an organisation. Working holistically gives an agent of change like the MobLab a greater chance to shrink the—extremely common—gap between organisations’ public mission and their internal culture. MobLab’s efforts have led to the creation of new mobilisation and engagement staff positions in Brazil, Canada, India, Greece, Mexico, South East Asia, Spain, Mediterranean, and the U.K., among others. Most of these have been elevated to senior-level management positions, with titles new to Greenpeace such as Chief Engagement Officer and Director of Participation. 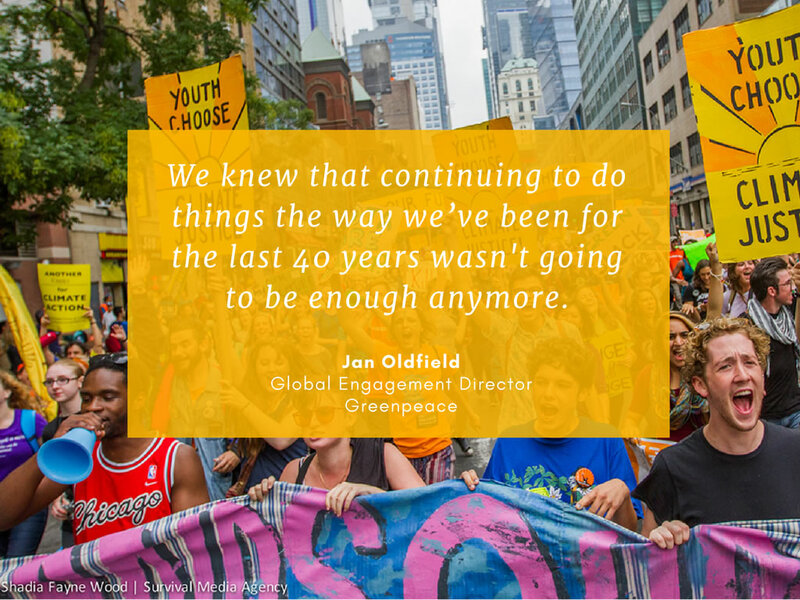 Spurred by MobLab’s influence across the organisation, Greenpeace established a new “Global Engagement Department” (GED) as a central resource that reflected its internal shift in culture. The GED consolidates a range of functions, including digital campaigning, volunteer mobilisation, communications, and donor cultivation, helping the Greenpeace network treat these as interrelated pieces of a larger whole — not as siloed “departments” or narrow job responsibilities. Specifically, the GED provides mobilisation training that blends online and offline; leadership development; and communications, fundraising and marketing support. 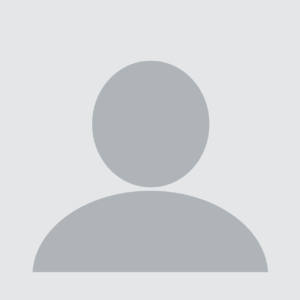 SELECTED LESSONS: HOW DID MOBLAB DO IT? Social sector organisations talk a lot about embracing change amid changing times, but relatively few walk that talk when it comes to radical transformation. Greenpeace is an exception, thanks to MobLab. MobLab’s five years of innovation and experimentation have demonstrated that—if advocacy organisations want to be successful—they need to become as creative, collaborative and people-powered as the world in which they now operate. By embracing this reality, MobLab has been able to help a large international organisation shake off the twin paralyses of bureaucracy and habit. In its success, and in the team’s commitment to work at multiple levels through multiple tactics, MobLab offers an incisive, up-to-date model for organisational change that can unleash greater impact. One of the most important strategies MobLab used to move Greenpeace to a new way of operating was to continually model the behaviour, attitudes and practices it was advocating to regional teams and to leaders at every level of the network. Michael Silberman and Tracy Frauzel spent much of MobLab’s first year laying the foundation for greater trust—trust in the MobLab, trust in the value of more inclusive campaigns, and trust in change itself. In practice, that meant adopting a “listening,” rather than telling, posture—one that valued the needs and local wisdom of teammates as much as (if not more than) outside “experts” and senior campaigners. With their work informed by listening—co-created, as it were, with their colleagues—MobLab’s recommendations often faced less resistance than ideas delivered from outside—and “above”—each local team. “We showed up at every global meeting of campaigners and executive directors,” says Silberman, “explaining our goals, making friends. Wherever we could, in presentations, and in our new MobLab newsletter, we drew on bright spots from work already happening around the Greenpeace network. We were making the case for this new stuff as something additive, not threatening,” he says. Many interviewees said that MobLab’s structural independence was a primary reason for its success. By operating with more flexibility and less bureaucratic oversight, the MobLab team was largely spared from the organisational territoriality that can force departments, individuals or offices into competition. That doesn’t mean MobLab’s outsider role was an easy one. At times, the team’s advice was greeted with scepticism. Some colleagues and regional offices remained attached to ways the organisation had always worked. Others rolled their eyes at the mention of new digital tools, and still others were unconvinced that “regular people” should take a new more central role in Greenpeace’s policy efforts or tactical direct actions. Navigating those attitudes took a while, Silberman says, particularly during the first two years. “Each time we walked into a new office, we had to communicate our value and prove ourselves.” To kick off workshops with an office or team, for example, MobLab would typically deliver inspiring or provocative presentations about trends in people-powered campaigning around the world. These examples, from inside and outside of Greenpeace, were intended to provoke dialogue and new thinking on which approaches could apply to the group’s work. Silberman and his colleagues would then facilitate challenging conversations among staff or leadership teams, demonstrating expertise by turning sceptics into partners or willing participants. Evaluating success is still a major challenge, however. Some of the team’s best work, for example, has been changing “hearts and minds”—persuasion that has systemic impact but is hard to measure. Results also take time: Regional trainings held one year may not show any results till the next—or until years later. Measuring organisational change is difficult well beyond the walls of Greenpeace. But MobLab’s flexibility has remained one of its defining strengths—creating mechanisms of change both from the bottom up and from the centre outward. Through decentralisation, Greenpeace has allowed new approaches to find their way more organically into program practices, organisational culture and, perhaps most importantly, into the lives of the activists and future activists Greenpeace and its allies seek to reach. MobLab steered Greenpeace in a new direction, one where early testing of ideas, honest assessments of results, and the ability to change plans became more acceptable—even useful. For example, MobLab invested significant time and money to train colleagues in techniques for specialized social media monitoring focused on directly understanding and affecting public sentiment on timely issues—or “Big Listening.” For Greenpeace Greece, the benefits were immediate; better listening led to better campaign planning. While in Brazil, according to Simon, a training and consultation process in 2013 showed few results until months later when the local team devised a Big Listening approach on its own, informed by MobLab’s advice but suited to their own needs and budget. We created a new approach: Before we do anything, before we even design campaign materials, let’s see what people are actually talking about, what they actually care about, and let’s ask, where is the connection with what we want to campaign for. How do we connect those dots? I can’t even begin to explain how important this was for our office. In a surprisingly rare act of program transparency, MobLab has posted its annual goals and objectives—and post-mortems on each year’s progress—on its website, including selected feedback from colleagues and areas of planned improvement for the year to come. Obviously, there’s no efficient way for 3,000 staff members to brainstorm an idea. But, in its second year, at the height of one of Greenpeace’s most public battles, MobLab used technology—and the opportunity that crises can create—to mobilise the full staff community as planners. Twenty-eight Greenpeace activists and two photojournalists were detained by the Russian government in 2013, after attempting to climb an Arctic drilling rig owned by oil giant Gazprom. As Greenpeace leadership worked for the release of the “Arctic 30,” staff members and regional leaders were seething with eagerness to help in whatever ways they could. The high stakes of an international incident, and the organisational culture of hierarchy and sign-off left all these internal supporters without an easy channel to join the fight, until MobLab, in collaboration with Greenpeace Argentina, created an open “Think Tank” on the Greenpeace intranet. Launched with an all-staff invitation from the International Executive Director Kumi Naidoo, the forum included discussions among 126 staff members, who brainstormed nearly 100 ideas for campaigns to win their colleagues’ freedom. The result was more than 20 new initiatives executed around the globe—some during the two months between the Arctic 30’s arrest and release, some continuing during the ensuing legal battle. These efforts varied in shape, size and effectiveness, but all were born of Greenpeace’s readiness to “crowdsource” from within. In one web-based campaign, for example, activists used Google Maps to speak out by adding comments under the map locations of Gazprom and Shell gas stations. It’s also important to consider this experiment in “crowdsourcing” might not have been possible without the staff-wide alarm about the welfare of the Arctic 30. Hundreds of colleagues were driven by their passion—and frustration—to participate, and the simple discussion tool made participation easy. 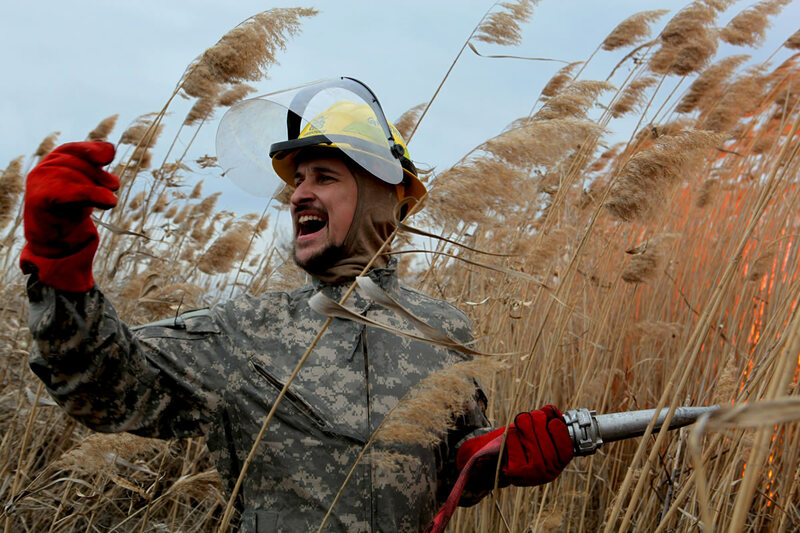 Crisis can drive innovation more effectively than any amount of good ideas or routine team spirit. From its earliest conception, MobLab was the brainchild of Greenpeace executive leadership. Former International Executive Director Kumi Naidoo and Chief Operating Officer Willem van Rijn laid the groundwork for MobLab with their calls for sweeping changes at Greenpeace and their plans for a “Centre of Excellence.” When it launched in 2011-2012, MobLab was overseen by Greenpeace USA Executive Director Phil Radford. Radford helped maintain the lab’s relationship with leaders at Greenpeace International and also served, in Michael Silberman’s words, as “champion and guide” on internal politics across the Greenpeace network. This support from above was essential to MobLab’s ability to achieve its goals. Silberman’s rapport and regular communication with leaders led to greater trust and, in turn, contributed to MobLab’s ability to promote risk-taking, advocate for more inclusive project teams, and even adjust its own mandate annually. That doesn’t mean that high-level support is always a blessing. New approaches can feel imposed instead of integrated, and more than one interviewee mentioned that leaders’ “inspiration” is not easy to turn into pragmatic action. Organisations seeking to reproduce MobLab’s successes should consider that the autonomy and imprimatur that MobLab was granted ‘from above’ were coupled with the MobLab team’s humble and participatory approach. MobLab had an amazing reputation at Oxfam and among our partners. They opened up all their materials to us and we were able to distribute them for use by 8,000 small and large civil society groups around the world. More organizations need to be thinking like that, particularly the bigger ones with the resources to do so. If Greenpeace continues to do that, it’s going to make a big difference. Small-screen consumerism and small-screen citizenship continue to give greater agency to individuals, while helping to raise the cost of apathy and misinformation. The value of digital era cultivation skills is still rising, for Greenpeace and for every organization and citizen with a stake in social change. Greenpeace leaders established the Mobilisation Lab six years ago because they recognised that the campaigning landscape was changing more quickly than many of their strategies and tactics. Today Greenpeace is a very different kind of organisation—one that has evolved to reflect a new era of people-powered campaigning. Greenpeace and the MobLab both recognise that this evolution is ongoing. But the underlying challenge remains the same: the strategies and tactics that worked yesterday won’t necessarily be the same that work tomorrow in this rapidly-changing environment; so how can organisations adapt appropriately? In early 2017, with the support of a transition grant from Greenpeace, the MobLab began the process of becoming fully independent to expand its mission and serve a wider community of organisations and individuals beyond Greenpeace. As threats to free speech and civic space increase around the globe, Greenpeace’s executive leadership team agreed that the MobLab can have an even greater impact for Greenpeace by expanding its focus to include networks of campaigners beyond its walls and across sectors and national borders. Greenpeace International Executive Director Bunny McDiarmid says this new direction is a natural next step that acknowledges the success of the MobLab initiative, and is “a tangible demonstration of Greenpeace’s commitment to network-building and collaboration with global civil society. Sharing lessons and resources to build the capacity of progressive campaigners worldwide is a key step toward living the values of Greenpeace’s new long-term strategic framework.” Meanwhile, she adds, Greenpeace staff will benefit from fresh thinking coming into the organisation. Greenpeace International agreed a partnership with the CIVICUS World Alliance for Citizen Participation to provide additional funding and to enable the MobLab to receive outside fiscal support from new NGO partners in the future. CIVICUS will also provide access to its 4000+ member alliance in 176 countries; this will accelerate MobLab’s ability to pilot its model. Silberman says the ultimate goal is for MobLab to become fully independent in 2018. As a freestanding organisation, MobLab can deepen its role as a training, research, and innovation hub for 21st century advocacy and help equip an even wider network of campaigners and activists with the strategies, tools, partners, and tactics needed to ensure long-term impact. With the rise of right-wing populism in the United States, Europe, and elsewhere and the mounting threats to democracy, MobLab’s approach and its growing cohort of advocacy experts are facing increasing demand. Build a diverse global network of capacity builders – and open resources – that can meet the growing demand for training and support on modern campaigning and advocacy. Bolster organisational leaders with the peer and professional support they need to drive organisational transformations that change internal cultures, behaviors, and systems for effective digital-era, people-powered campaigning. Foster greater peer learning between and among organisations and movements to accelerate continuous applied learning across traditional silos and divides. Develop sector-wide approaches to piloting new practices, tactics, and technologies that could have broad applicability.